A broken windshield doesn’t just make your car looks awful, but it’s also dangerous for you. A lot of people don’t realize that there are so many accidents happened because of a damaged windshield, thus many of us left our damaged windshields untreated for a long time. The most common reason is a limited time to deal with insurance. Then take the car to an auto glass shop for service. But the longer you wait, the bigger the damage will be. Cracks can spread over the windshield if not repaired, and the cost to fix it is higher as well. Especially if the windshield is severely damaged small cracks and you have to replace. If you really don’t have much time to deal with your broken windshield, actually today you have an easy alternative. Just search the internet. It won’t take too much of your time, and its a quick way to find a reputable company. Most auto glass companies have websites that you can find easily when you browse the internet. While those that don’t have websites usually can be found on the business listings. The advantage of searching for a windshield repair service on internet listings is you can search based on your location. So you can choose the nearest auto glass shop in the city of McKinney, TX. Another benefit of web searching company listings is you can also find auto glass technicians offering the same services as you can get from shops. 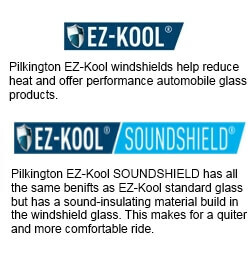 So you can choose either to use the service from an auto glass company or from a freelance technician. If you prefer to use a freelance auto glass technician, just make sure that the person has proper certifications for auto glass safety installation, and has sufficient equipment to do the job. Don’t just choose a random guy who says that he’s an auto glass expert just because he offers you a cheap price. Many of these auto glass shops and technicians are offering mobile services in the city of McKinney, TX. They usually have a van that’s fully equipped with auto glass repair and replacement tools. They will be able to fix your auto glass on-site, wherever your vehicle is located as long as it’s still within their service coverage area. So now there is absolutely no reason for you to delay fixing your windshield or the other auto glass parts in your car, because it will only take a few minutes for you to find an auto glass service, and you also don’t need to take your car to their shop if you don’t have time, you can just use their mobile service and they will come to you. Most of these auto glass companies in McKinney can also take care of your auto insurance claim.